Our 5 inch orange cones stand out in the crowd. 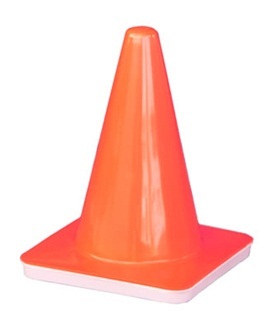 Consider our 5 inch orange traffic cone instead of a 6 inch orange traffic cone and save money! Just compare the cost savings. Go to top of this 5 inch Orange Traffic Cones, Case of 25, $2.73 ea page.